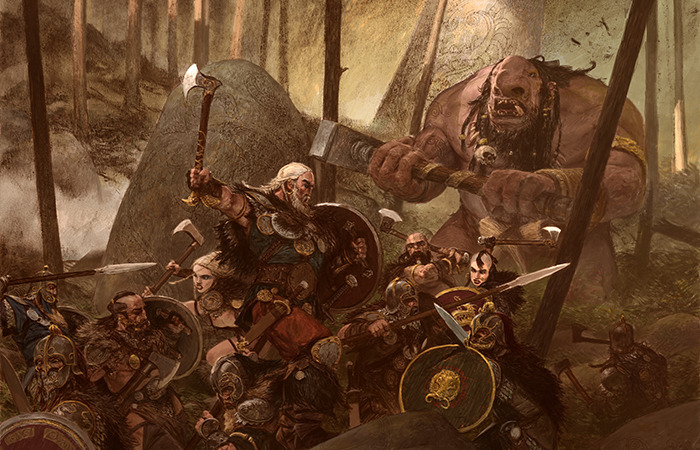 Viking battle, big monsters and conquest sound like a good time. 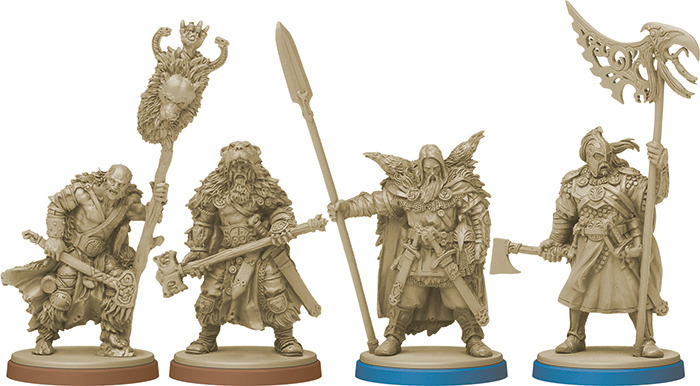 Blood Rage is a strategy, conquest and resource game that promises a few twists based on the Ragnarok apocalypse myth. As designer Eric Lang lays out in the campaign, sitting back while everyone else destroys each other is a quick way to lose a game, but slaughtering everyone could be dangerous as some clans’ goals are explicitly to die. Check out the Kickstarter campaign and videos. Bringing glory to your clan is the more important than anything, and that can be achieved by destroying provinces, pillaging and, as mentioned before, dying and going to Valhalla. Guillotine Games (Zombicide) and Studio McVey (Sedition Wars and some incredible minis) have created the game. All of the art is by the incredible art by Adrian Smith. Lang is has worked on tons of popular games including recent hits such as Dicemasters and X:Com the Board Game. With only 10 days to go, Blood Rage is already funded. But the more that gets pledged, the more goals that get unlocked. So far, a lot of miniatures and markers (including several Kickstarter exclusives) have been unlocked.